This support forum is created to explain the new day off email. 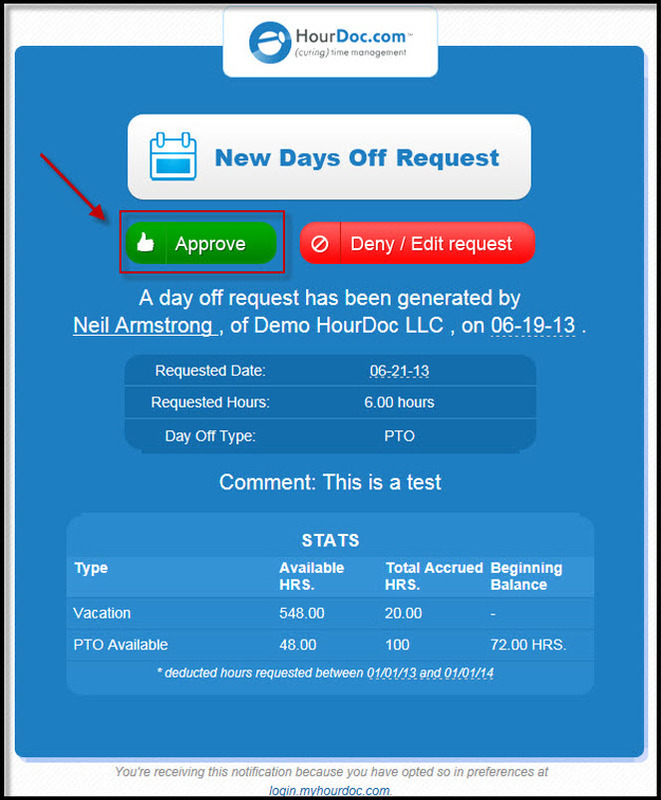 The new feature allows a user to approve and see the balances directly from the request in the email itself. This will be a detailed description of the new day off email format and how to approve, reject or edit the request from the email. 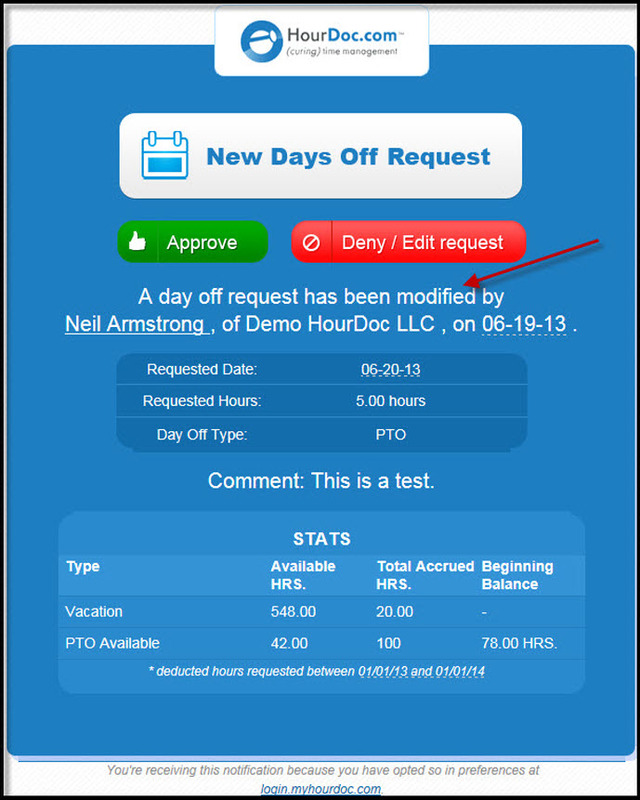 a) To approve the day off request, you will only need to click on the "approve" button located within the body of the email. 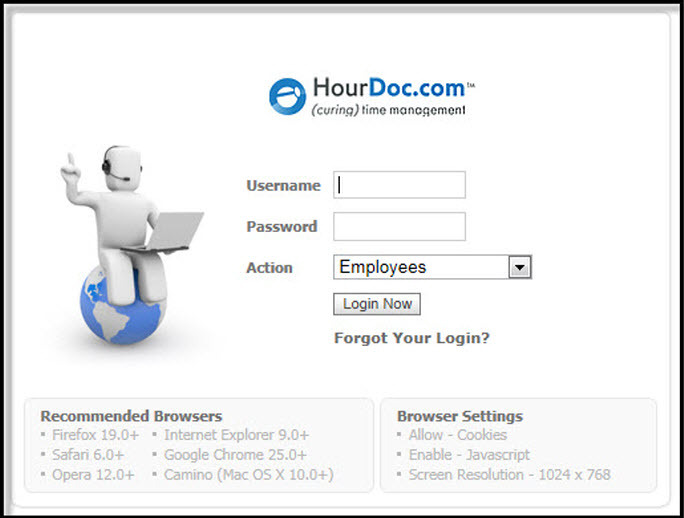 b) You will be re-directed to HourDoc login page showing successful approval of the request. a) To deny the day off request, you will need to click on the “deny / edit request” button located within the body of the email. b) You will be re-directed to web page where you will need to log in to deny the request. We chose to have this deny / edit request remain manual because there are many variables that can be used when editing or denying a request. a) To edit the day off request, you will need to click on the “deny / edit request” button located within the body of the email. b) You will be re-directed to web page where you will need to log in to edit the request. 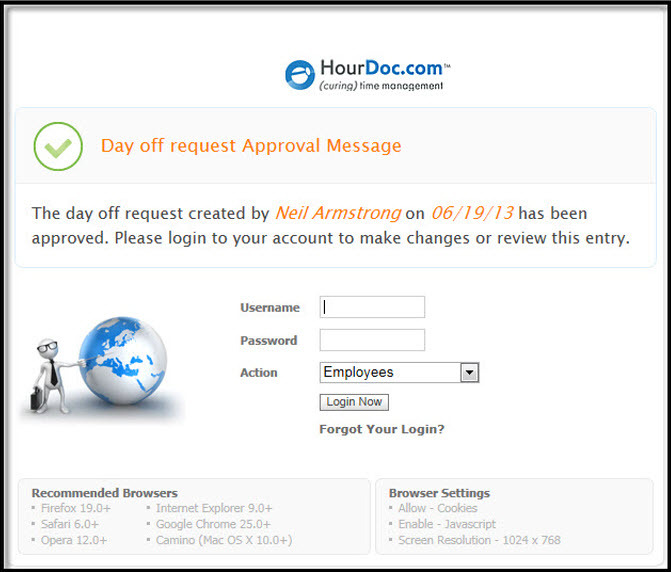 If the employee modifies their day off request, a new email will be sent to the manager. 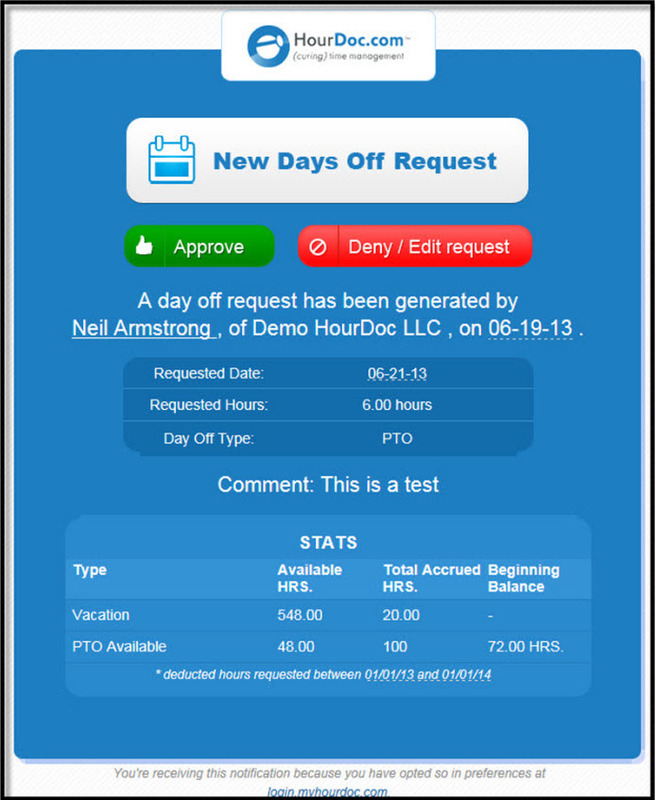 You will then only be able to approve, deny or edit the day off request from the new email.